The students performed their singing and dance routines on stage after months of practicing and fundraising on behalf of Just for Kids Foundation. 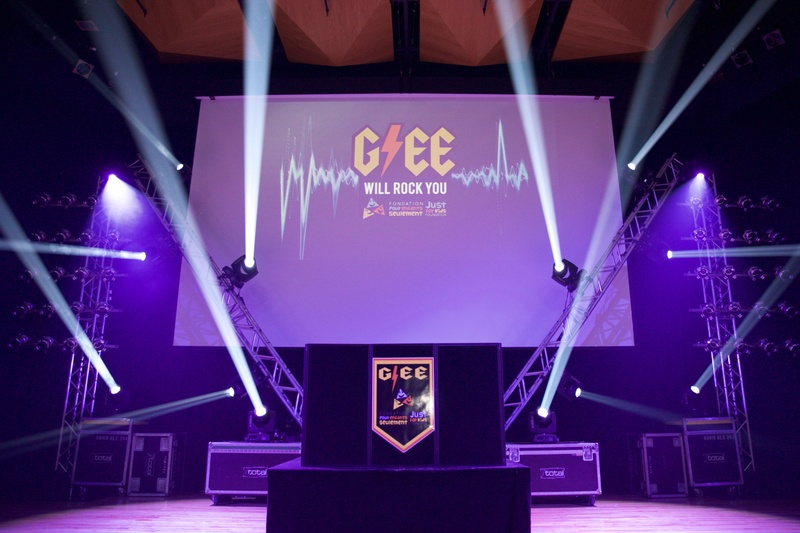 Rock n’ roll mash-ups to fit the “G!EE Will Rock You” theme were performed by the teams from: Bialik, ECS, Herzliah, John Rennie, Kuper Academy, Royal West Academy, Rosemount, Selwyn House, St. Thomas, The Study, Trafalgar, and Vincent Massey Collegiate. The audience enjoyed the energized performances as well as our hosts’ extraordinary enthusiasm (Catherine Verdon-Diamond of Breakfast Television Montreal and veteran-G!EE host Corey Wolofsky).The excitement in the theatre was electric and it was all possible thanks to our hard-working volunteers, committee members and community supporters! A special thank you to the dedicated students who raised an unbelievable amount of money and to our very generous sponsors. 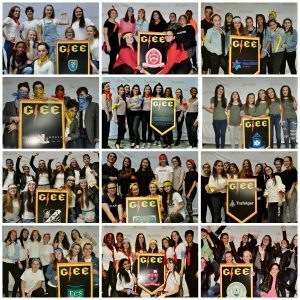 JFK G!EE raised over $115,000 for the Montreal Children’s Hospital. Funds will support the purchase of high-priority medical equipment for the Neonatal Intensive Care Unit (NICU) and the Respiratory Medicine department as part of Just for Kids Foundation’s A Breathe For Life campaign.